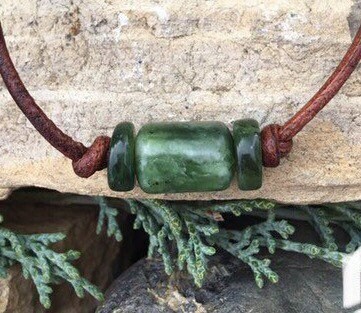 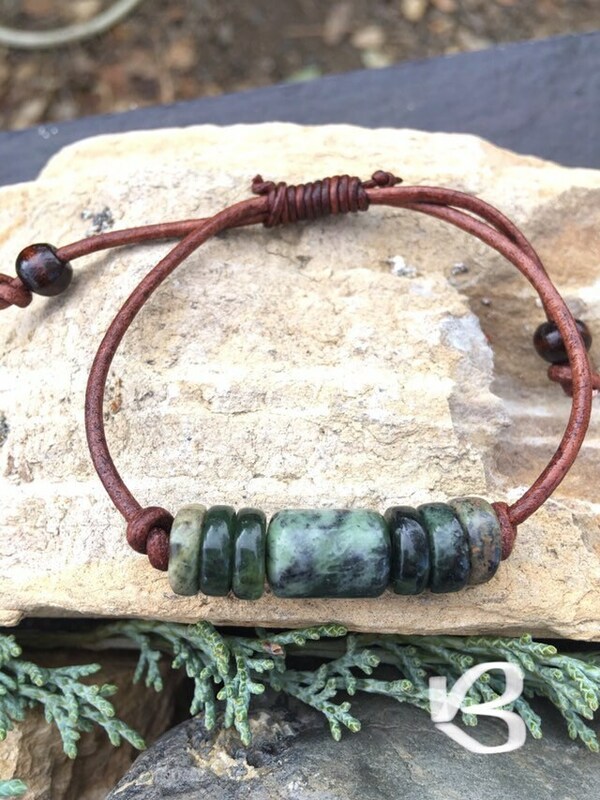 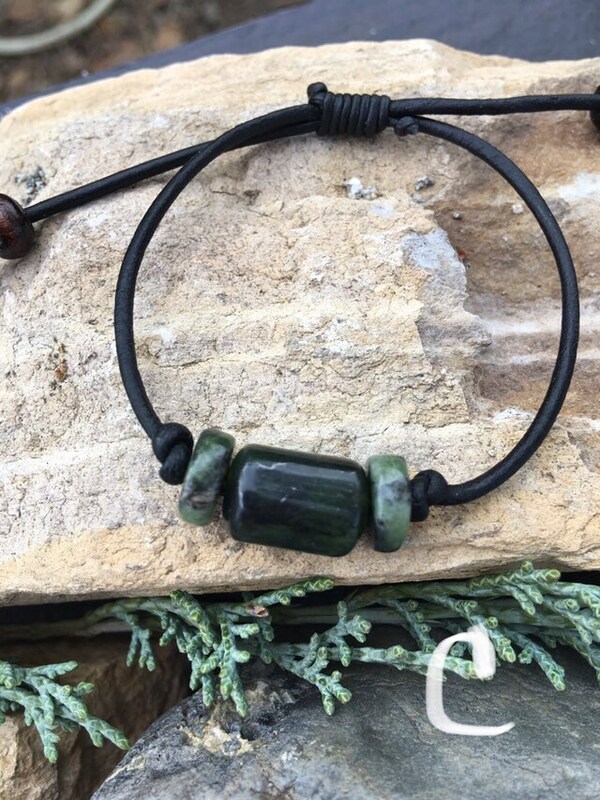 These beautiful jade and leather bracelets are beautiful stones ranging from light to dark greens. 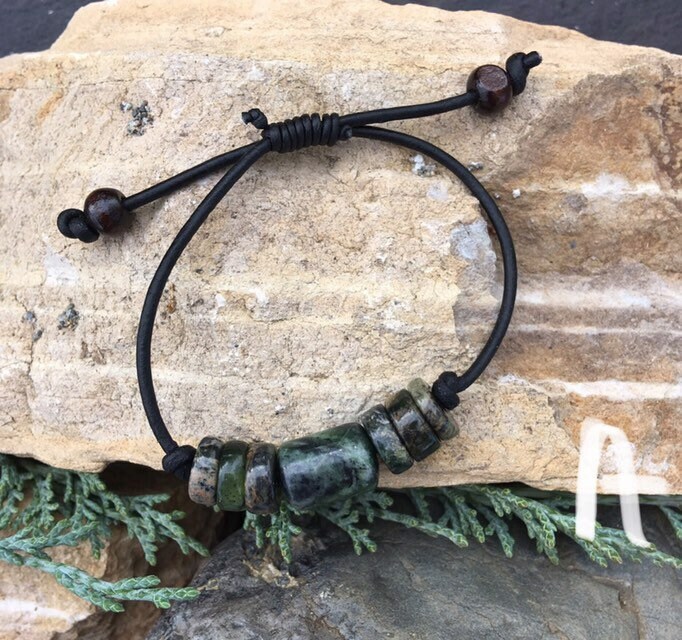 They are accented with wood beads. 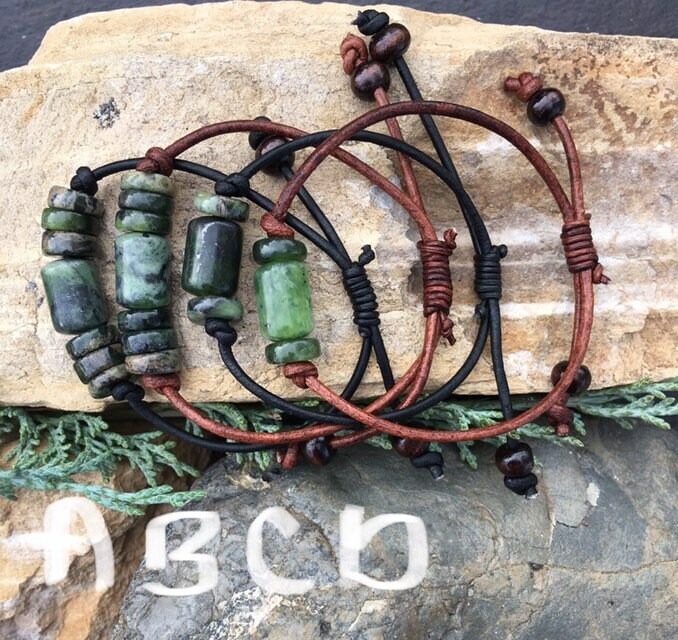 These are all individually priced and you pick your choice at checkout, depending on what is still available. 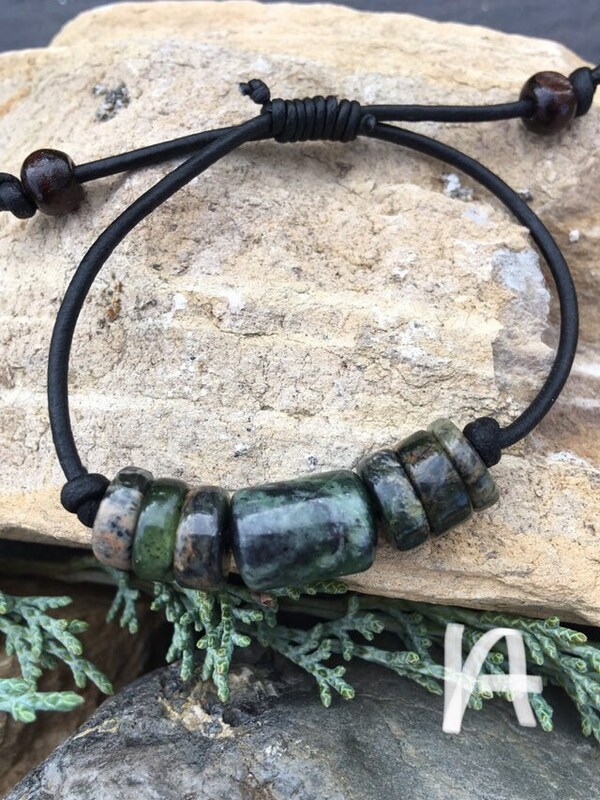 Bracelet A: Adjustable up to 8 1/2”. 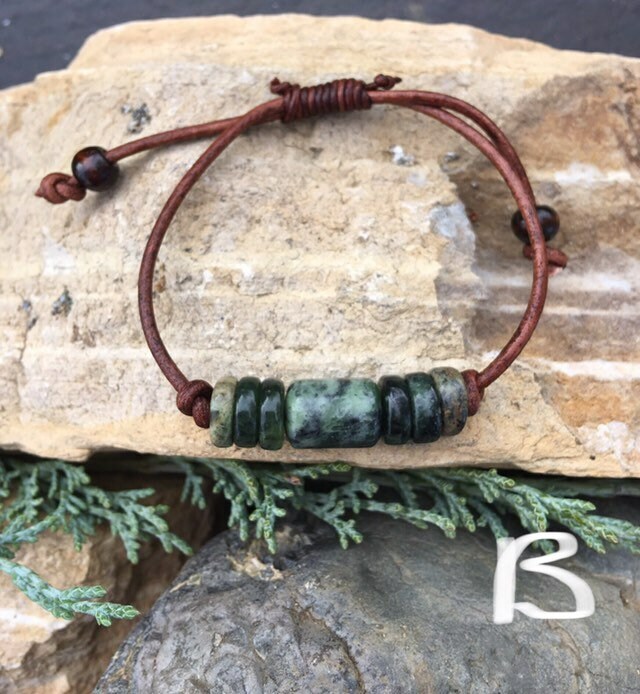 Bracelet B: Adjustable up to 9 1/2”. 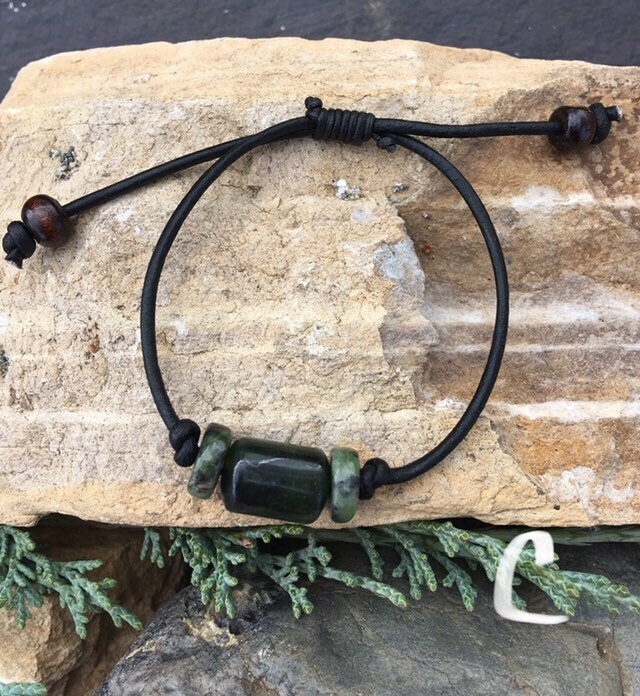 Bracelet C: Adjustable up to 10”. 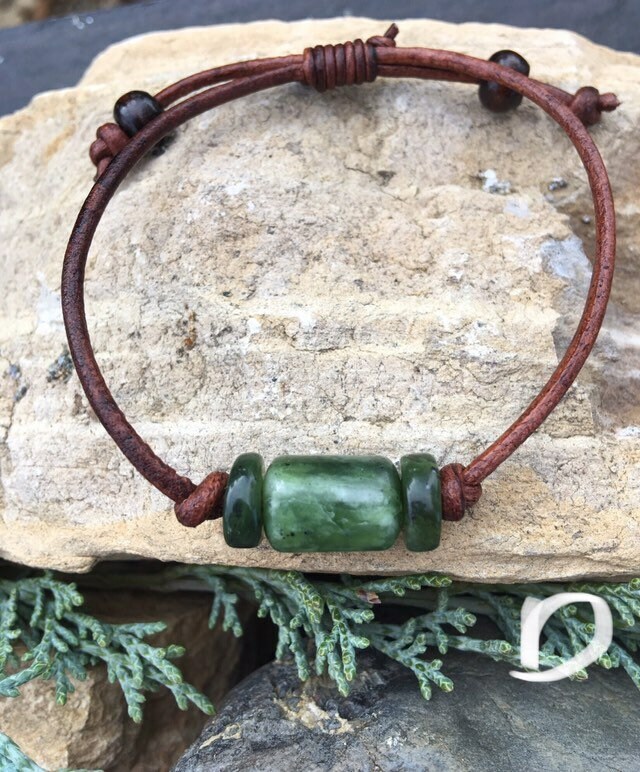 Bracelet D: Adjustable up to 9 1/2”.